The renowned timepiece customizer presents this military-inspired look for Rolex‘s Deepsea diver model. This new release replaces the usual black bracelet with a classic NATO strap. 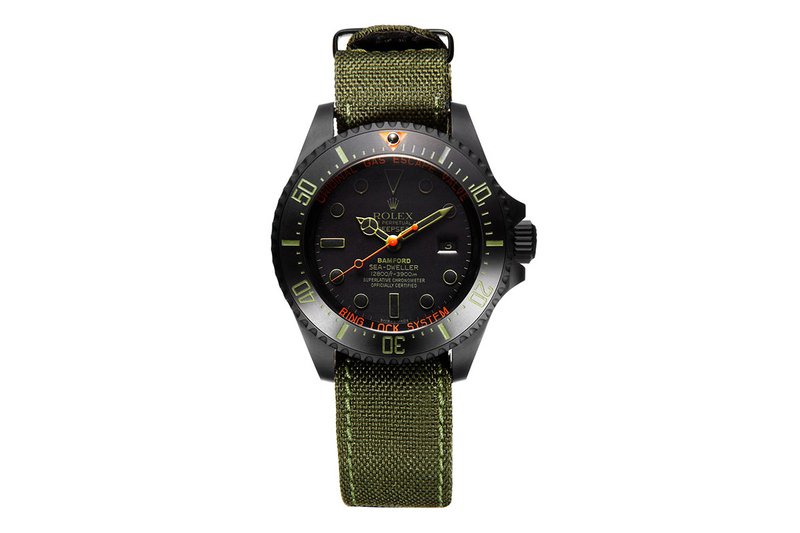 The signature black military grade titanium coating is accented by hues of olive and bright orange on the markers, hands, and labels. Get it now online.